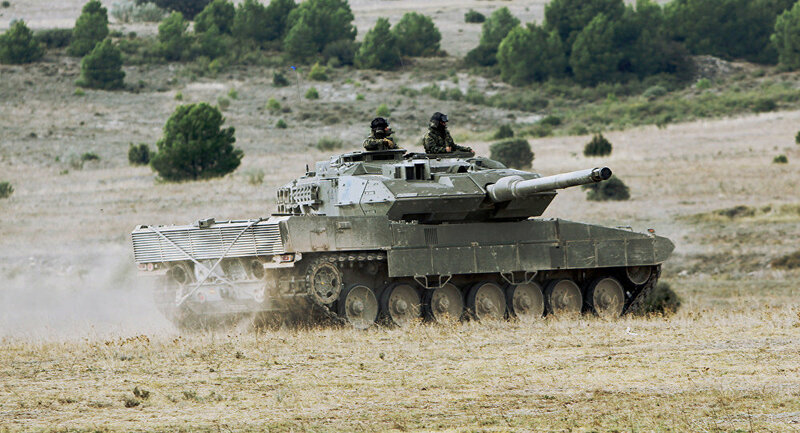 The Czech military has recently expressed an interest in purchasing a number of surplus Leopard 2A4 main battle tanks from Spain. A Czech Republic military delegation has recently visited a Spanish military base of the 41st Logistic Support Group in Zaragosa, which, among other things, serves as a storage facility for Leopard 2A4 main battle tanks that were removed from service and are being offered for sale.Ruslan Pukhov, head of the Centre for the Analysis of Strategies and Technologies, told Sputnik that Prague’s decision to purchase this type of military hardware appears to be a prudent one, as the Leopard is perhaps one of the best tanks in the world, and even the US M1A1 Abrams main battle tank uses the Rheinmetall 120 mm gun – the primary weapon of the Leopard 2. “You know how a perfect world army would look like? US Air Force, French navy, German tanks and Russian soldiers,” Pukhov remarked. He pointed out that while the T-72 is an impressive war machine in its own right, it has already become outdated, which is why the Russian military is switching to the T-14 Armata. “It would be a vehicle protected both from high-explosive munitions and from anti-tank weaponry. A tank’s active defense system can intercept one shot, a passive defense system can endure two shots, but nowadays a tank endures about 8-10 hits during battle,” Pukhov said. According to him, the new vehicle should be fitted with a powerful cannon like a tank, and at the same time pack sufficient firepower to keep enemy infantry armed with anti-tank weapons at bay. He added that Russia does have the concept of a tank support fighting vehicle, which dates back to the Soviet military operation in Afghanistan, when the ZSU-23-4 Shilka anti-aircraft system proved to be extremely effective against mujahedeen infantry elements. “It’s hard to tell how one could make a cross between Shilka and a battle tank. But whoever manages to accomplish this feat first would be able to seize the lion’s share of the global [weapons] market,” Pukhov surmised.